Peter has built a reputation for results over his 20 years as a professional auctioneer that is the envy of his peers. For 16 years, Peter has been a leading stock, station and real estate agent. 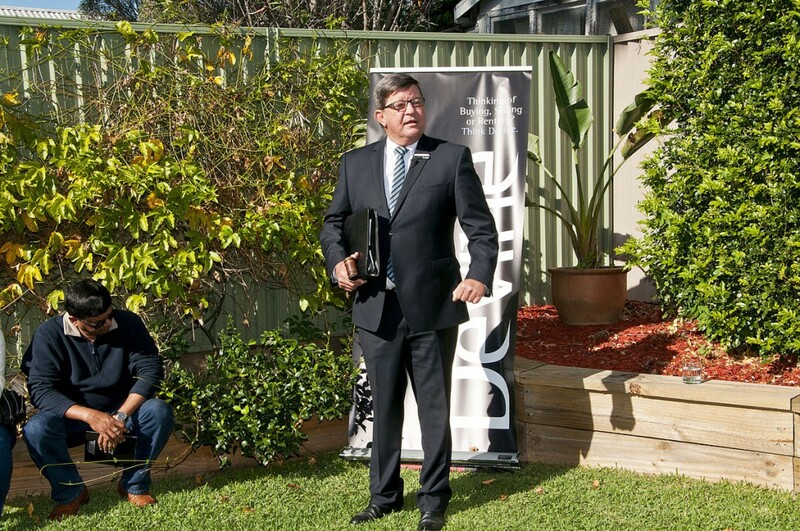 In the past 5 years he has been quickly recognised as the most prominent real estate auctioneer in Sydney. Peter’s rural background and easygoing, pleasant manner puts buyers and sellers at ease and creates a relaxed and positive auction atmosphere. As a result he is recognised as one of the Inner West’s most popular auctioneers with an enviable sales record. Peter is exclusively available to clients of Devine Real Estate and tells us that “there is nothing more satisfying than the open and free competition only an auction can generate and the relief from both the vendor and purchaser in knowing that sale process has had a definite conclusion”. Peter has also been called on to host charity auctions for groups such as the Variety Club, Heart Foundation, Spastic Centre, local schools and sporting clubs. In the real estate field he has achieved many notable results with a portfolio of sales exceeding $440 million in the year of 1999. Peter is one of an elite group of full time professional auctioneers committed to the total auction process. As an active participant in the sale of your home, he has the auctioneer’s eye for the best strategies to help you sell your property under the hammer.